Jakarta, Denpasar, Manado, Solo, Ambon, Ternate, Yogyakarta, Sula, Moratai, Malang, Bandung, Bogor, Salatiga and Semarang. The West Papua National Committee (KNPB), also demonstrated in Port Numbay and Biak, West Papua. 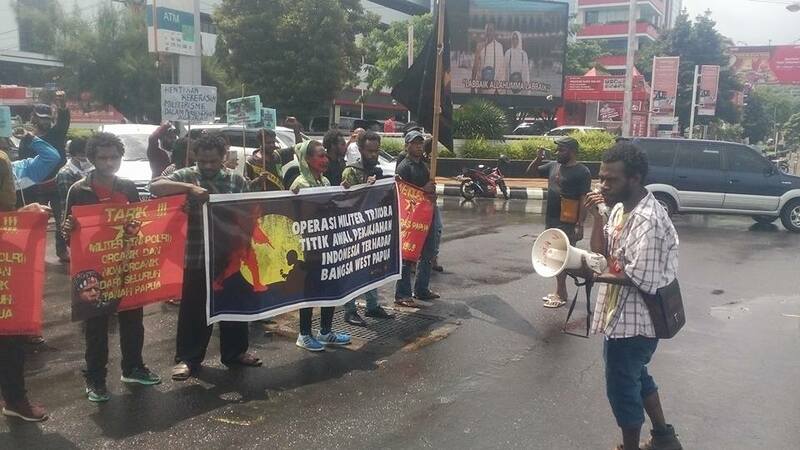 Free West Papua rally to reject “Operation Trikora” in Malang, Indonesia. Photo: AMP. The growing support from Indonesian people in solidarity with West Papua is reaching new heights and shows similarity to Indonesian solidarity with the people of Timor-Leste (East Timor) in the late 1990s. While all the rallies held were entirely peaceful, the Indonesian police and police militia tried their best to break the peace and break up the demonstrator’s freedom of expression. In Malang, 66 people were arrested and some of those arrested were brutalised. 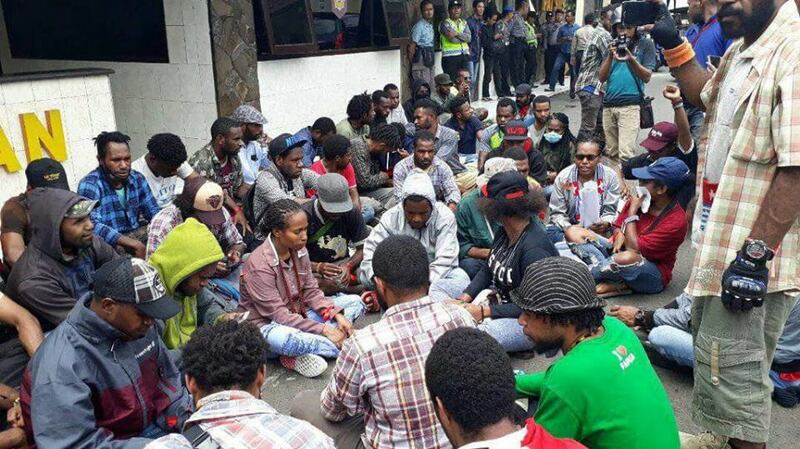 People being arrested at a Free West Papua rally to reject “Operation Trikora” in Malang, Indonesia. Photo: AMP. 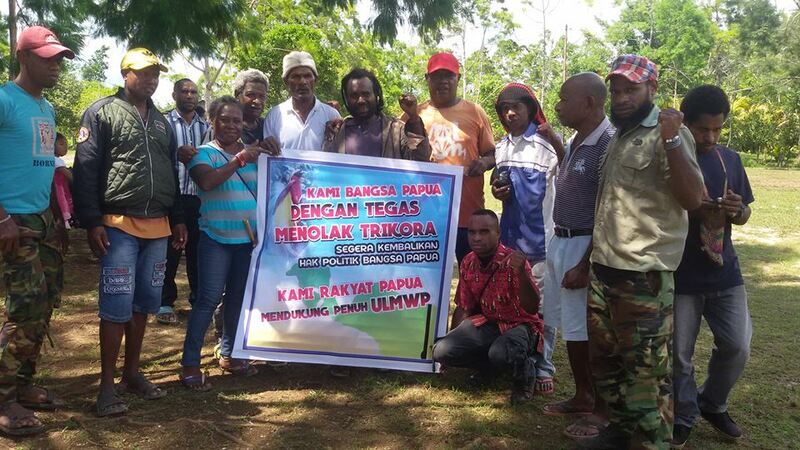 The West Papua National Committee (KNPB) demonstrating in Biak, West Papua to reject “Operation Trikora” and to show their full support for the United Liberation Movement for West Papua (ULMWP). In 1961, the Dutch government (West Papua’s former colonial ruler) was well on the way to granting West Papua independence and on 1st December the West Papuan national flag was raised wit the promise of full independence in the coming years. In response, Indonesia’s president Soekarno announced “Operation Trikora”, a military plan to take West Papua by force. 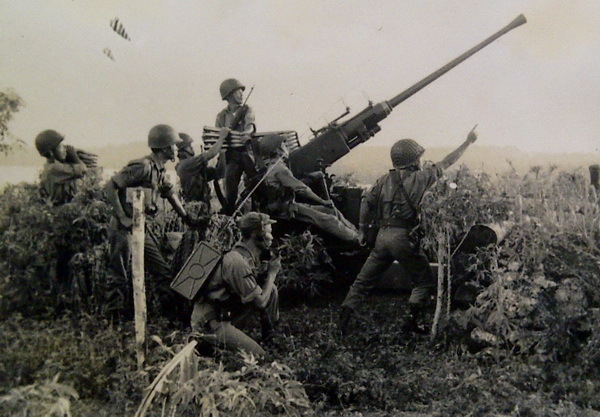 In the next few months, with backing from the Soviet Union, the Indonesian military launched ruthless military attacks on West Papua, from naval shelling to artillery bombing. Hundreds of Indonesian soldiers were airdropped into the country and the West Papuan defence force managed to successfully repel Indonesian attacks. It was not until 15th August 1962 that West Papua was left unable to defend itself. Due to growing Cold War fears of war with a communist friendly Indonesia, the USA intervened and effectively forced the Dutch to hand over West Papua to Indonesia without the consultation of a single West Papuan person. 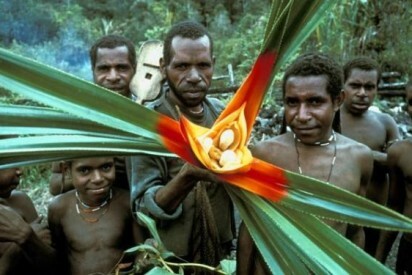 The West Papuan defence force was disbanded and by 1963, the Indonesian military had taken full control of West Papua; their illegal occupation cemented through the fraudulent “Act of NO Choice” which this year over 1.8 MILLION West Papuan people signed a petition rebuking to call for a legitimate act of self-determination. 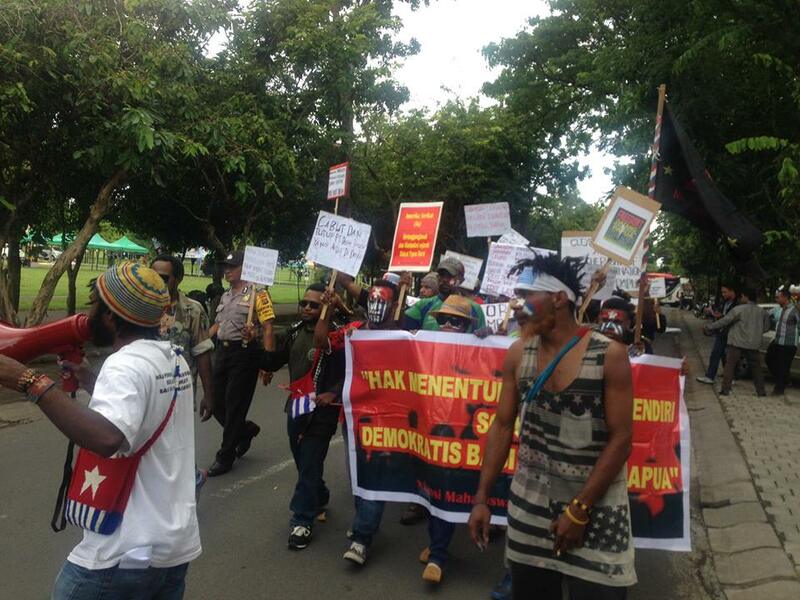 Free West Papua rally to reject “Operation Trikora” in Semarang, Indonesia. Photo: AMP. The people of West Papua have never accepted Indonesia’s “Operation Trikora”, nor the continued illegal occupation of the country. Growing solidarity from across Indonesia is evidence for the growing impact the West Papuan struggle is having and we are delighted at the support of Indonesian people, standing up to the litany of colonialism and genocide which continues to take place in occupied West Papua. To find out more about the history of West Papua, please watch this excellent documentary made by the late Australian journalist Mark Worth.